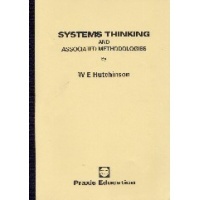 Systems Thinking and Associated Methodologies gives an overview of contemporary systems thinking. The book is designed as an introductory text for courses in systems thinking for students and professionals across a wide range of disciplines and provides a quick and easy reference about contemporary systems methodologies. introduces the idea of systems thinking and describes the history and development of methodologies used to find system problem solutions. 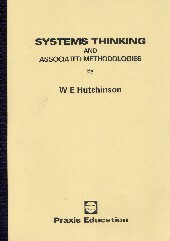 The book provides a conceptual framework that places each systems thinking methodology in terms of the problem type that it is most suited to, and its relevance to ‘hard’ or ‘soft’ systems analysis. Detailed overviews are given of the developing area of critical systems thinking, Flood and Jackson’s total systems intervention, Ulrich’s critical system heuristics, Checkland's soft systems, Beer's organisational cybernetics and viable systems model, and Forrester's system dynamics. Professor Bill Hutchinson is IBM Professor in Information Systems and Information Security at Edith Cowan University in Perth, Western Australia where he specialises in systems and security. Bill obtained his doctorate in systems at Murdoch University. He has a masters degree in natural resource management, a diploma in corporate management, and undergraduate degrees in systems/computing, and biology/education. His interests are security systems, environmental management systems, risk management, database design and systems failures. He has worked in the finance and oil industries, as well as government, where he has used systems methodologies to implement change.